It is with sadness that the Catholic Archdiocese of Sydney advises the community of the death of Father Peter Neville. Father Neville entered Eternal Life on Sunday, 28 January following a road accident. He was aged 80. Ordained on 21 July 1962, Father Neville's first appointment as Assistant Priest was at East Granville, then Camperdown, Balgowlah, Ashbury, Lane Cove, Enfield, Dulwich Hill and Pymble. His first appointment as Parish Priest was to Bossley Park in 1980 and he served in that role at Georges Hall from 1995 until his retirement to lesser duties in 2007. He was Executive Secretary of the Pastoral Studies Committee for a time and Dean of the Auburn-Bankstown Deanery for six years. We extend our prayers and our deep sympathy to members of Father Neville's family. We also offer our prayers to the young man involved in the incident, and his family, at this difficult time. Funeral details will be advised when they are available. May the soul of Father Peter Neville enjoy the resurrection promised by Christ. Father Neville helped establish Mary Immaculate Parish at Bossley Park in 1980 and was regarded highly within the community. The 18-year-old driver and his female passenger were not hurt during the incident. The driver was taken to Liverpool Hospital for blood and urine tests and charged with dangerous driving occasioning death and negligent driving occasioning death. He was granted conditional bail to appear at Liverpool Local Court on Wednesday 14 February 2018. The Catholic Archdiocese of Sydney extended sympathies to Father Neville’s family in a statement. He sustained serious injuries and died on the way to Liverpool Hospital. 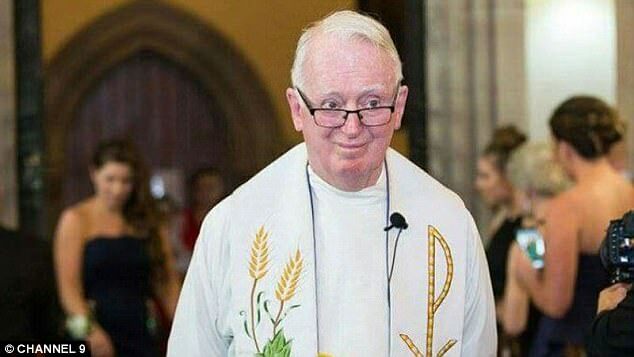 “It is with sadness that the Catholic Archdiocese of Sydney advises the Catholic community of the death of Father Peter Neville. “Father Neville entered Eternal Life on Sunday, 28 January following a road accident. Ordained on 21 July 1962, Father Neville’s first appointment as Assistant Priest was at East Granville, then Camperdown, Balgowlah, Ashbury, Lane Cove, Enfield, Dulwich Hill and Pymble. “His first appointment as Parish Priest was to Bossley Park in 1980 and he served in that role at Georges Hall from 1995 until his retirement to lesser duties in 2007. “He was Executive Secretary of the Pastoral Studies Committee for a time and Dean of the Auburn-Bankstown Deanery for six years. “We extend our prayers and our deep sympathy to members of Father Neville’s family. We also offer our prayers for the young man involved in the incident, and his family, at this difficult time. “May the soul of Father Peter Neville enjoy the resurrection promised by Christ.” Father Neville helped establish Mary Immaculate parish as the founding priest in 1980. He christened and administering catholic sacraments on thousands of local children at Mary Immaculate throughout the 80s and 90s. He was so well liked that many former students of the primary school later sought “Father Neville” out once he had moved on from Bossley Park to perform their wedding ceremonies. Father Neville retired to the Central Coast where he lived at Kincumber Nautical Village. It’s understood he moved back to Sydney a few years ago to be closer to family. Rest in Peace Father. The gates of Heaven were open for you. Blessings and comfort to your family.